Click on the links below to listen to pieces performed on the Frobenuis organ by David Goodenough, organist and Director of Music at Canongate Kirk. The Organ was specially designed for Canongate Kirk as a memorial to the Very Reverend Doctor Ronald Selby Wright, the much loved Minister of Canongate from 1937-1977. It was built by the Th. Frobenius & Sønner, Orgelbyggeri A/S of Denmark, a firm well known in the organ world for meticulous craftsmanship and lyrical sound. 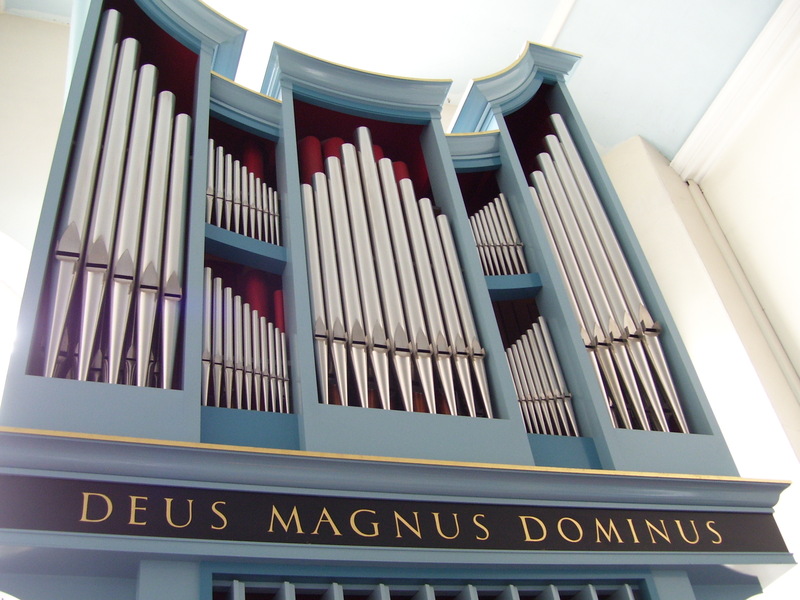 The Canongate organ is their 1000th instrument, and the first Frobenius in Scotland. The instrument is a two manual tracker action instrument with 20 stops, 3 couplers and tremulant. There are no pistons or general registration aids. Pitch = A440 cone tuned at equal temperament. Swell shutters constructed of two mahogany panels with a lead sheet core. 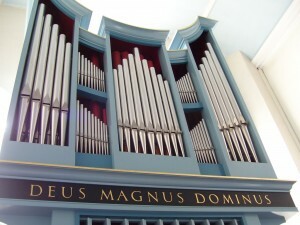 The instrument has been recorded several times, most recently by the Edinburgh Society of Organists for their ‘Organs of Edinburgh’ CD book (Delphian) which can be ordered at: http://edinburghorganists.org. The inaugural concert was given on 16th November 1998 by Dr. John Kitchen, Senior Lecturer in Music at the University of Edinburgh, Edinburgh University Organist, The City of Edinburgh Organist and Director of Music at Old Saint Paul’s Episcopal Church Edinburgh.